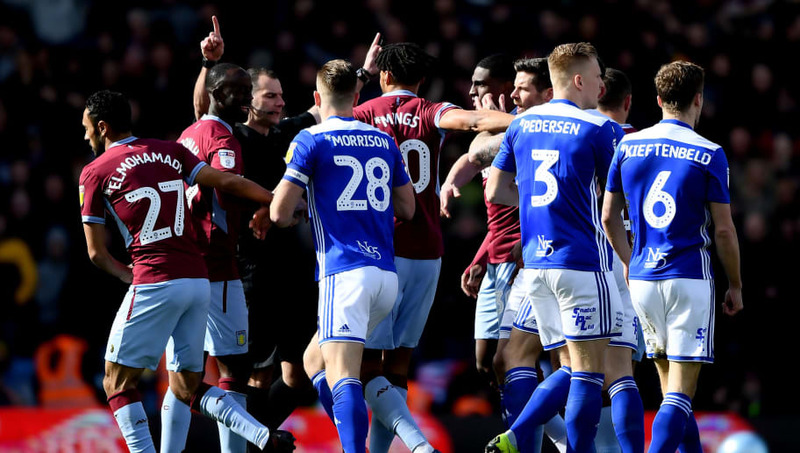 ​Both Birmingham City and Aston Villa have been charged by the FA for failing to control their players in last weekend's fiercely contested local derby. Villa's 1-0 win certainly won't be remembered for the football, as the heated battle saw both the players and the fans embroiled in controversy. Birmingham midfielder Maikel Kieftenbel floored Jack Grealish early on, which sparked a brawl between the two sides. Then a Blues fan burst onto the field in the tenth minute, and punched Grealish in the back of the head. It was, however, the 23-year-old who had the last laugh, as his 67th minute strike sealed a precious derby day win for the ​Villains. The celebrations caused even more controversy, as Grealish leapt into the away end to relish the moment with the fans - much to the chagrin of the ​Blues faithful. Following the chaotic encounter, the FA (via BBC Sport) have moved to take action against both clubs for failing to control their players, and the two sides have until Monday next week to respond to their charges. It is likely that they will be given fines for their behaviour, and a warning over their future conduct. While the players were clearly at fault for letting their emotions boil over, it has been the actions of football fans that have made the headlines in recent days. Alongside the St. Andrew's debacle, ​Manchester United's Chris Smalling was pushed by a supporter during his side's 2-0 loss to ​Arsenal, while a Hibs fan was also arrested for an altercation with a Rangers player. Meanwhile, ​Grealish has claimed he was lucky the fan who assaulted him last Sunday wasn't carrying a weapon. The former Notts County loanee said he felt relieved to have escaped the incident relatively unscathed, and contended that he was very fortunate not to be in a more serious condition following the unsavoury event.